A weather forecast might be something you look at when deciding whether or not to take an umbrella with you in the morning, but for wind energy it is vitally important and contributes to the efficient management of wind-powered electricity. We spoke to George Kariniotakis, lead session chair of forecasting at EWEA’s 2013 Annual Event to find out more. Can you describe the role wind forecasting plays in the wind power sector? Forecasting the power output of wind farms in the next hours or days is of primary importance for the management of a power system with high wind penetration. Power system operators need to anticipate the necessary electricity generation to meet the electricity demand at each moment. The challenge comes when a large share of the generation depends on weather conditions, as is the case for wind energy. Wind power forecasts are useful for power system scheduling, congestion management, storage management, reserves allocation and other functions. Wind farm operators also need forecasts to participate in a day-ahead electricity market or to plan maintenance of wind farms. What are the current technologies used? In the last 20 years there has been considerable research that led into two mainstream approaches, a so-called “physical” one and a “statistical” one. The first tries to explain the process based on the physical laws that govern wind. The second tries to extract information from available data. Each one has its merits and today in practice the tendency is to use combined or multi-model approaches. In the last years research has focused on probabilistic forecasting and forecasting of extremes like wind power ramps. What are the current limitations of forecasting and how does this impact on the wind energy sector? Although significant progress has been made in the last years, the main limitation remains accuracy. Power system operators are used to operating the power system with very accurate forecasts of the electricity demand (1-3% error). It is natural to expect similar performance for wind power forecasts. Accuracy may affect acceptability of larger penetration levels of wind power. Improving accuracy helps in reducing costs. How do you see the future of wind energy forecasting? I think, as wind penetration will rise dramatically in the next decades, the operators will become more and more aware of the predictability of wind power and also of the quality of the commercial forecasting services and software tools. In Europe it will be necessary to develop a “European” vision of forecasting. Further research will be necessary to improve the technology and give solutions to the problems of the different users and applications. The case of large offshore wind farms will raise new challenges for forecasting too. What are the biggest challenges in achieving that vision? I think it is of high importance to have the possibility to continue research to improve the technology. It is wise that research is carried out at EU level since this is the best way to put together excellence from different disciplines to reach breakthroughs. But the question remains broad and for that reason we decided to dedicate a talk in the forecasting session on the “future of forecasting”! What are you looking forward to the most about your session at EWEA 2013? And the event itself? I hope the EWEA 2013 forecasting session will be a unique opportunity for getting information on leading research and applications, for meeting experts, for networking, starting new collaborations. To a larger extend this is what I am looking forward from the event itself too! 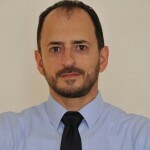 George Kariniotakis will chair “advances and challenges in wind power forecasting” on Wednesday 6 February at 14.00 at EWEA 2013 in Vienna. George will also be involved in an EWEA workshop on forecasting later this year. Keep an eye on this page for more information.